One big way I'm saying YES to gratitude this month is by writing gratitude notes to 30 people in my life. 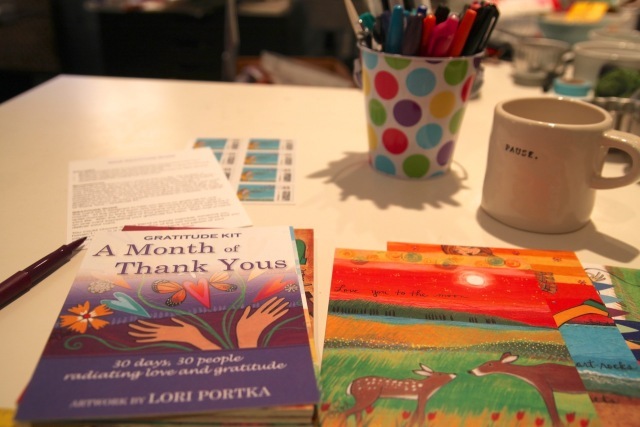 I'm using Lori Portka's A Month of Thank Yous Gratitude Kit, and it is already changing me. Seriously. And that is honestly a bit unexpected. When I decided to embark on this adventure of writing 30 notes of gratitude, I had the thought that I didn't know 30 people I could thank. I mean do I even have 30 people in my life? It feels so quiet over here because I spend so much time alone and with my little famly. But then I started writing the notes. Four notes in and I can't stop thinking about new people to write to. I feel deeply steeped in really seeing and thinking about the people who have guided me to this moment in my life. And this specific kind of gratitude is a feeling I needed to experience in my bones. 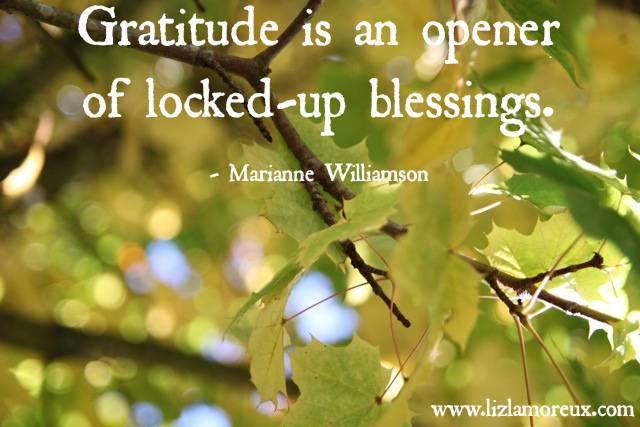 Gratitude can seem very far away when the stress of the everyday stuff is high. The word alone can bug me, and invite me to feel guilty and even angry. These feelings becomes clues of course, but that doesn't mean I always want to investigate what they are telling me. Last week, as I was thinking about this idea of inviting in more gratitude and deciding to do this practice of writing out my gratitude and sending it in the mail to others, I gave myself permission to set down some of my stories around the word "gratitude" and see what would happen if I explored it with my heart simply open. I'll be sharing more about the experience of writing these notes throughout the month, and I'd love for you to come along and share your experience with the practice too. Consider joining me and writing your own notes of gratitude (you could even just write 5 or 10). Be sure to check out Lori's kit here. There are 30 different postcards in the kit, so you are actually getting 30 small prints on gorgeous, thick, easy-to-write on cardstock. Lori's offering my readers a 15% discount this month with the code THANKFUL (just put the code in right above your order total on the shopping cart page).